Falladu camp (across the river from the actual town) is now closed. Jem camp (near the entrance to the town, coming from the border) is now 500GMD, but they gave me one night at 300. Clean, comfortable, private shower with cold water, net, and fan. 5 minute walk to the garage. plenty of stalls in the day at the garage, and along the main road into town at night. Had “futi”, which was a delicious, spicy, onion (and probably fish) sauce on rice. let me first say that the green Gambian Transport Company (GTC) bus lines is AMAZING. Really fast, comfortable, and they run so often! BUT, I don’t recommend Friday or Sunday travel for long hauls, as you may or may not end up standing for the duration of your trip… not that I would know from experience…. GTC bus from Basse to McCarthy — 50GMD, took 1.5 hours. Dream Bird camp gave me a single room with private bath (cold water), comfortable mattress (with springs. it was amazing. ), and net. Nice guys there, fairly chatty, but pretty genuine. One of them took me across the river to the JJB camp to see monkeys — 250GMD/night (originally quoted 500). Ferry across the river is 5 or 10GMD. There is an official ferry for vehicle transport, but there is also a man who shuttles back and forth in a smaller pirogue. Got suckered into a 150GMD rice plate from Yaya Fast Food. The guys were nice so I was able to share meals at Dreambird for the rest. There are many buses leaving throughout the morning. 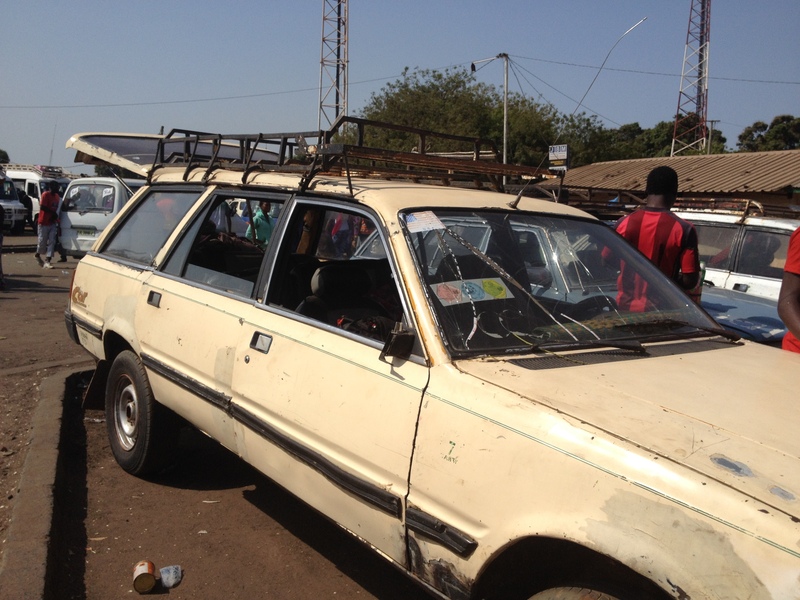 It is probably worth waiting for an express bus to Banjul, as I was on the non-express one and we made a lot of stops. 180GMD for the ticket, and I paid 50 to put my bag on the top, because the bus was so full. Otherwise I do not think you need to pay for bringing baggage with you. YMCA hostel in Kanifing neighbourhood. Basic rooms, shared toilets, but good location, with a 20 minute walk from Westfield junction (main transport hub for getting out of the city). The hostel seems to serve as a dormitory for secondary school students, so it can be a bit noisy with their chatter. They did not have any of their 200GMD single rooms available, but gave me a 400dbl for 250/night. Breakfast can be found at various little tables along the road. Many bowls of various things (often pasta) which will be put into sandwich for you, for about 20GMD. At the taxi garage near the port in Bakau, there is a lady serving rice and sauce for 25GMD. At the World Mobile Junction (a couple blocks from Westfield) there is the “Fatou Jange Restaurant” serving a daily dish for 50GMD (though the servings are so big that I just got half for 25). The Gambian name for Senegalese theiboudienne is benchine. The YMCA is on the route between Westfield Junction and Bakau beach. If you walk to the corner, you can generally flag down a van in either direction for 8GMD, though it is only 20 minutes to walk to Westfield. 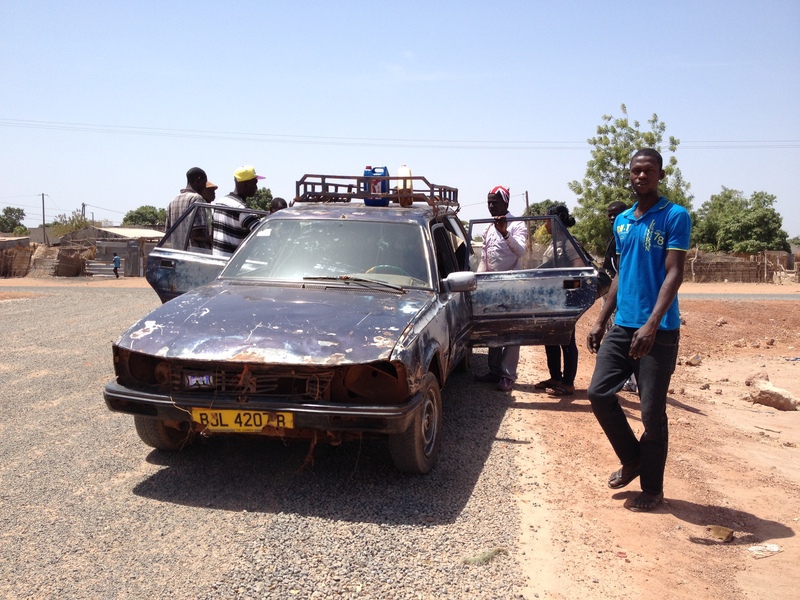 If you are taking a van from Westfield to the YMCA, make sure you ask for the vans to Bakau which take the “back way”. Flagging a van in the morning to Banjul took a few minutes, as most were full, but it is 10GMD once you find one. Get this out on the main road. 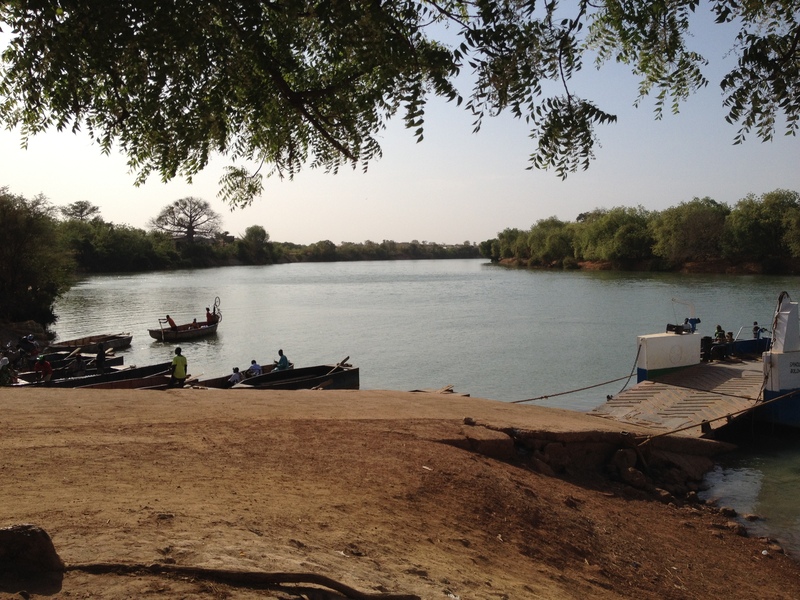 Within Banjul, it is small enough to walk around. HI Megan, thanks for your write-up. You’re doing your fellow travelers a great service by documenting things like these. One question: You obviously have a lot of experience in the region, do you feel that helps when negotiating prices and such or is The Gambia really this cheap? Thanks, walter! I’m so glad you’re finding the info useful! I think its important to at least have an idea of what prices should be like. It’s easy for locals to tell if you don’t, and you might find yourself paying WAY too much for basic things, because yes, it’s really that cheap. Using the prices I paid on my trip should be enough to get you on the right track.